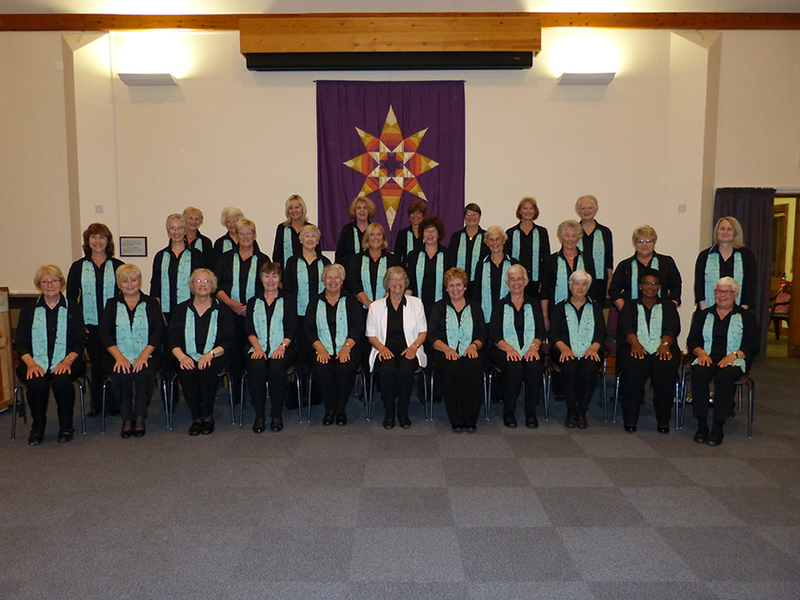 The Orwell Singers is a well-established ladies choir based in Ipswich. 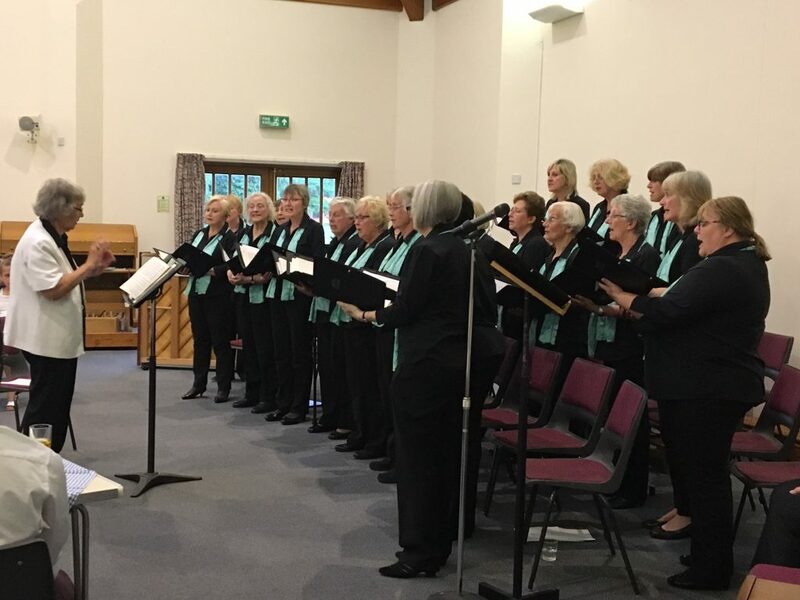 The Singers enjoy performing a wide variety of music ranging from easy-listening to classical and folk to songs from the shows. The choir has a busy programme of concerts, weddings and social events throughout the year. The choir welcomes new members throughout the year. If you are interested in joining us, click here or come along to one of our rehearsals – we’d love to see you! 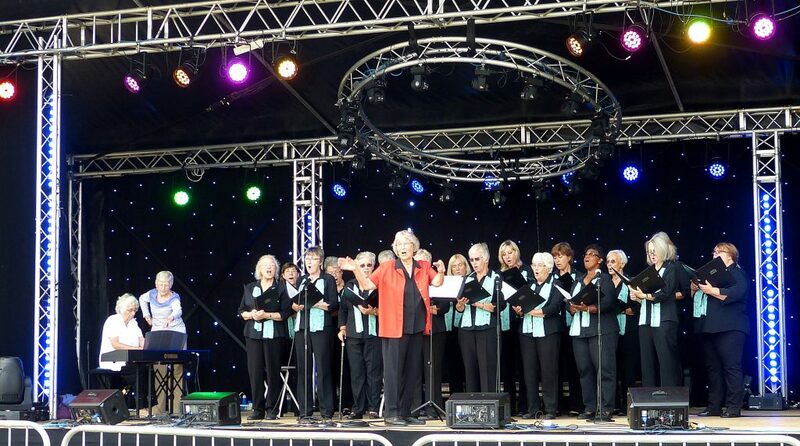 The Orwell Singers on stage taking part in the Martlesham Heath 100th Anniversary celebrations on Saturday 8th July 2017. Gloria conducting the choir at our Summer Concert on Saturday 3rd June 2017 at St Michael & All Angel’s Church, Martlesham Heath. 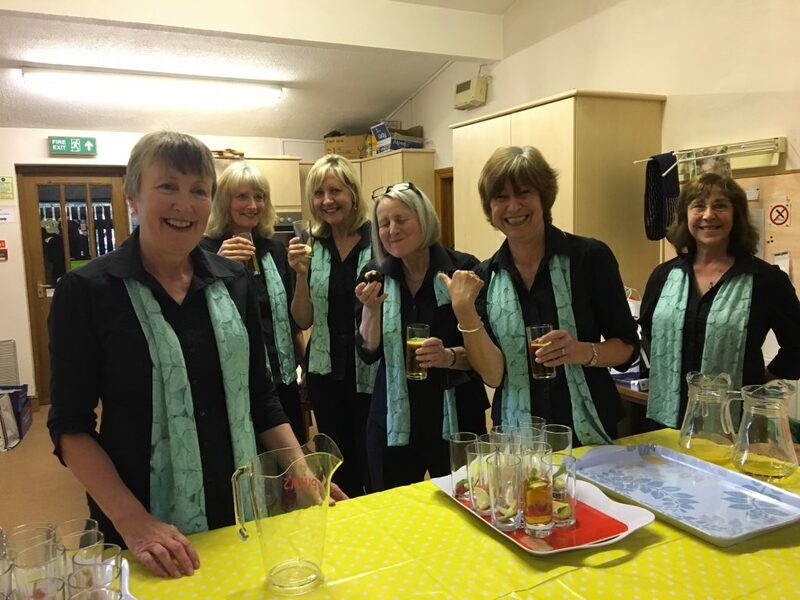 Serving refreshments behind the bar at the concert. Click the links above to visit our Facebook page, The Ipswich Arts Society of which we are members and Making Music, which is an umbrella organisation we subscribe to.